We all know that videos are most popular in the online market. Videos are those that make product selling an easy task. Various social media platforms have now started adopting videos for every product and service. Till now Instagram used to have videos of up to 15 seconds and now it has decided to extend the video length to 60 seconds. The reason behind this is to provide funny, flexible and creative ways to create and watch video on Instagram. This is beneficial for Instagram users who wish to watch video and according to statistics, there are many users who wish to watch such full length videos on Instagram. In the past 6 months, the time spent on watching video has increased up to 40%. People wish to watch longer and diverse stories. To meet the needs of the user, Instagram decided to increase the video length. iOS users have the ability to create videos from different clips from the camera roll. These new features are already available in the market and slowly these will be available to all of the users. How is this beneficial for Marketers? These necessary changes are gaining much popularity on their platform. It will create lots of new marketing opportunities such as longer videos will tell longer stories and will have more time to demonstrate products, huge opportunities for displaying live events and lots more. Wait! These 60 second videos may be 60 second long video ads and you can explain so many things in these 60 seconds rather than that in 15 seconds. This seems to be a great offering for advertisers in future. Marketers can use these videos to properly showcase their products as well as its features in these 60 seconds. For marketers, this seems to be a time to reframe their marketing strategies so as to make effective use of this new benefit offered by Instagram- the most well known social media platform among all including youngsters, business owners, senior citizens, children etc. 45 seconds video can serve the purpose. Data that is derived from this change will be interesting and will showcase the way people respond to the long videos on the internet. 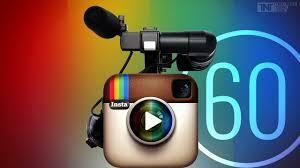 This week multi clip video is available on Instagram for iOS 7.19 in Apple’s App Store. This seems to be a direct challenge to Snapchat without the location based overlays and crazy Snapchat Lenses. In case, you are unable to upload longer clips then just assume that the feature is yet to be rolled out and slowly it will be available to every user of Instagram. Now, it will be easy for marketers to use Instagram as an advertising tool because marketers can easily explain the product within 60 seconds. Try to use this feature and let us know your review about the same. Stay connected with us for more such updates related to social media networks. If you need any assistance regarding the use of social media networks for advertising purpose then get in touch with experts at Platinum SEO, well known SEO Company Sydney.